Made the spicy turkey burgers for deck. Making these burgers spicy is the best thing I’ve done in a while. The pretzel buns are pretty cute (and tasty) although I still prefer brioche. I added diced jalapeños and scallions to the meat in addition to upping the cayenne in the aioli. 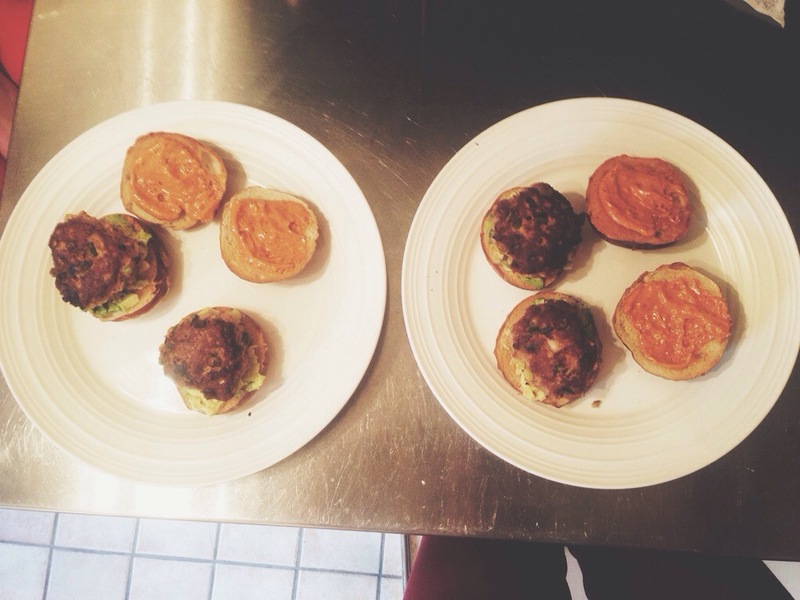 This entry was posted in weeknight and tagged avocado, burgers, spicy, turkey. Bookmark the permalink.